The greatest satisfaction I receive is seeing how joyful our patients are when their smile has been restored. The people I work with have become life-long friends who know that they can count on me for support, both personally and professionally. I am honored to have the opportunity of treating second and third generation patients. 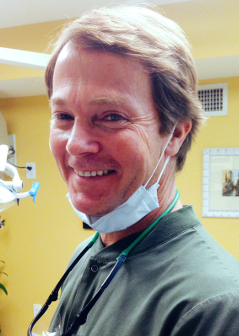 It is heartwarming to know that past experiences have resulted in continued full confidence that my team and I will consistently deliver excellent dental care. For patients' convenience, I am fluent in French, Spanish, and Italian. Participating in continuing education enables me to keep up with new techniques that can benefit my patients’ dental health. 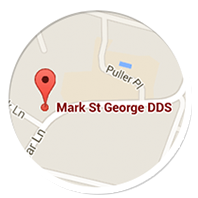 The past 30 years have been an amazing and exciting time in the area of dental technology. The advancements that have been made and the new products introduced have meant more comfortable treatments and longer lasting results. Excellence in state-of-the-art dentistry is nothing less than what my patients deserve, and exactly what they can expect when they visit our office. I was born in Paris and grew up in Europe, then moved to the United States to attend college as well as dental school. Having lived abroad I am fluent in French, Spanish and Italian. It has been my great pleasure to have lived and worked in Kensington for over 25 years. Here, I have raised two amazing grown children; Austin, a St Mary's college graduate as well as L'Academie de Cuisine graduate, and Morgan, a VCU College of Arts graduate. Our family also includes a friendly Old English Sheep dog named Yeti, and our newest addition, Opie, an American-Eskimo/Beagle mix. With my children, I share passions for cooking, playing guitar, skiing and traveling. In the past, I have been involved with M.E.D.I.C.O.’s week-long dental mission in Honduras, and found great satisfaction bringing smiles to the faces of those who need it the most!